My sweetie and I make a point of celebrating each of our birthdays and anniversary in a special way. Sometimes it is just a day trip or a dinner out. More often it is a short getaway. Recently we spent a few days in one of our favorite places. Lancaster county, Pennsylvania is known for it’s beautiful rolling hills, Amish and Mennonite farmlands and relaxing atmosphere. 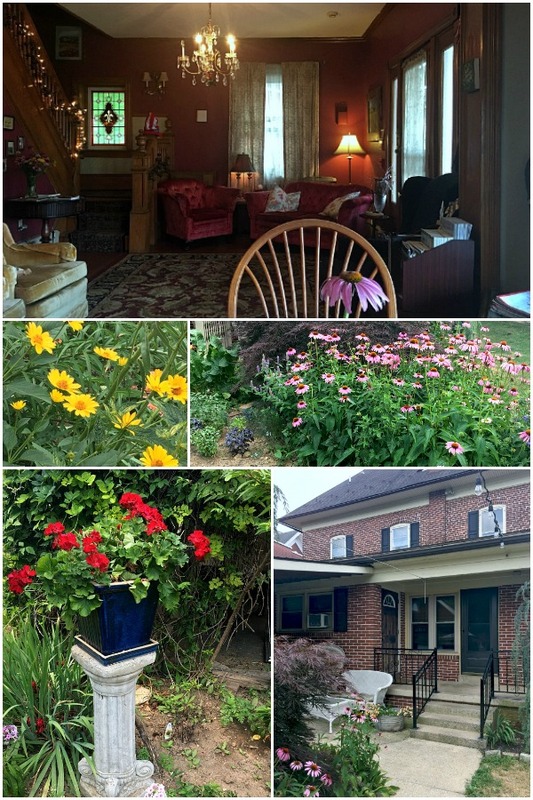 This year we planned a lovely time in New Holland located in eastern Lancaster county. Be inspired with this action packed getaway guide as you plan a visit to this iconic area filled with gorgeous pastoral views. Our trip was just three days and two nights but it was plenty time to refresh and relax. The 75 mile drive from our home in southern NJ, took about an hour and a half. 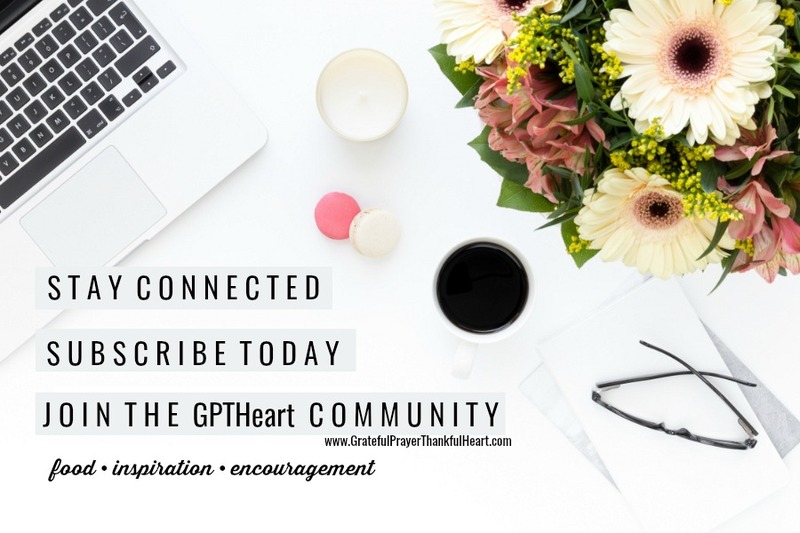 A time for undisturbed conversation that is hard to come by with the busyness of everyday life. New Holland is about 14 miles northeast of Lancaster or about a 30 minute drive. Our first stop was a meetup with a friend to reconnect over coffee and lunch. Right on Main street in New Holland is a delightful and cozy shop that serves amazing house-roasted coffee, homemade pastries & light fare. 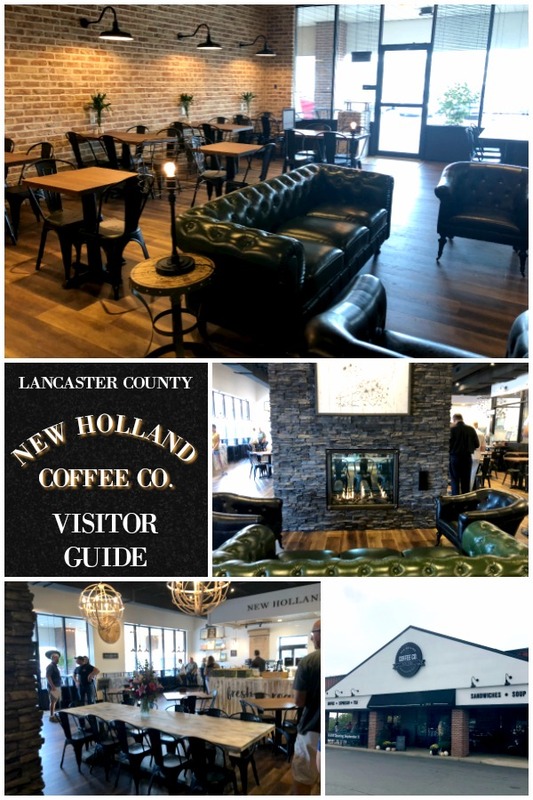 New Holland Coffee Co. is passionate about creating a welcoming atmosphere perfect for a chat with friends or a casual business meeting. The perfect gathering place for all who want to experience high-quality coffee, delicious food, and excellent service. Instead of going out for dinner, we decided to pick up a few items to eat back in our room. It is a great way to save a few bucks and a nice way to chill after a busy day of travel. Often, I will prepare a picnic type meal before we leave home and take it in a cooler to enjoy our first evening away. This time we planned to buy something instead. I asked our friend the best place to get a bottle of wine, some cheese, crackers and other treats. She told us where she shops and off we went. Right next to the liquor store is Grocery Outlet Bargain Market. It is a great discount store with amazing prices carrying brand-name groceries, gifts and toys. We gathered more than we needed for a tasty meal including cookies, little handheld pies and of course, chocolate. Lititz is a borough in Lancaster County, Pennsylvania, six miles north of the city of Lancaster. It is a quaint and charming little town with interesting history. Founded in 1749 by Moravians seeking religious freedom, we enjoyed strolling past picturesque log, brick, and stone homes in a variety of English, German, and Victorian styles of architecture. 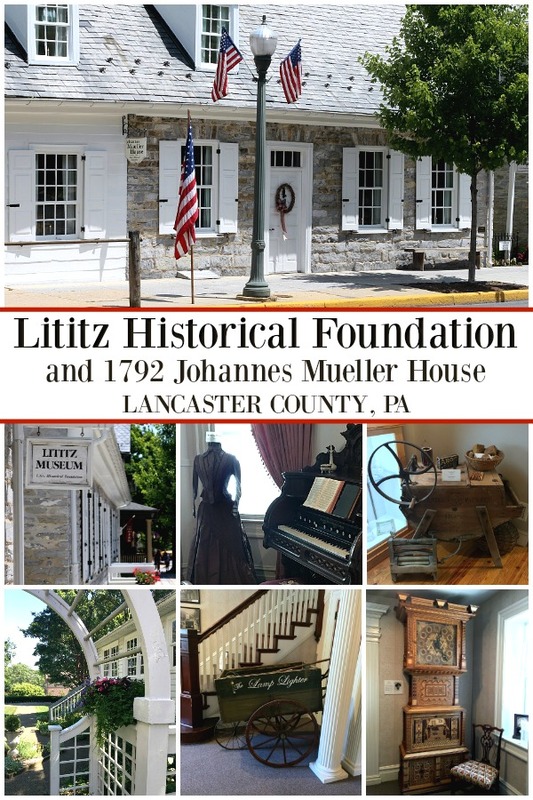 Don’t miss a visit to the Lititz Historical Foundation and the historic 1792 Johannes Mueller House. It is small but very interesting with displays that tell the story of Lititz. 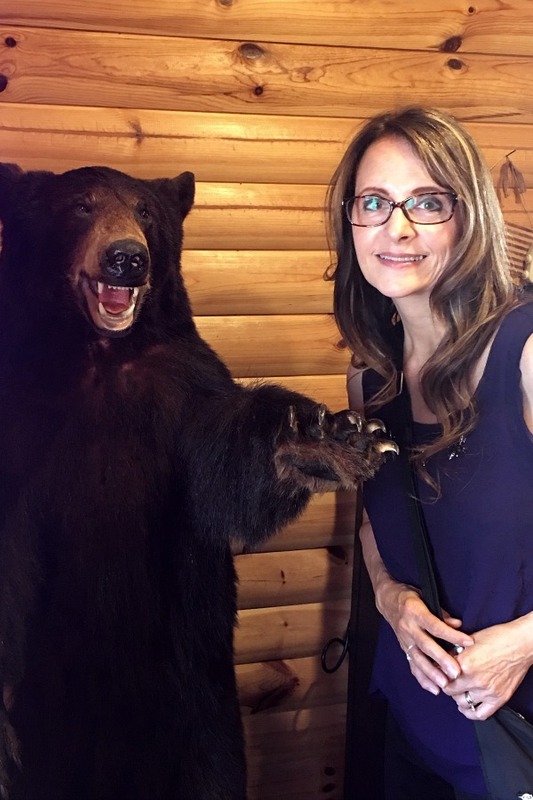 Friendly and knowledgeable staff are there if you would like to tour the Mueller House. There are beautiful gardens behind the building that are lovely and one of my favorite parts of the town. 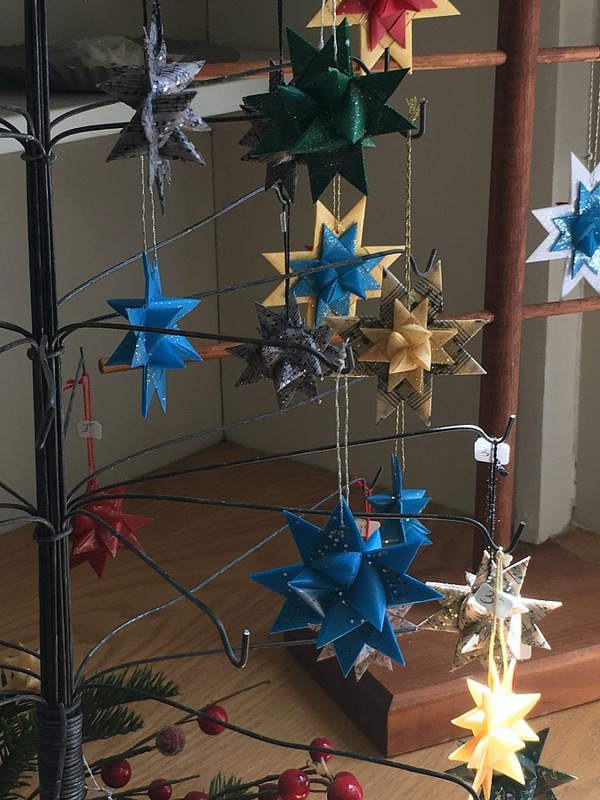 The museum has a gift shop that included one of my favorite ornaments, a folded paper star! If you would like to learn to make them yourself, see my step-by-step German Star video. The Lititz Museum, Johannes Mueller House with costumed 45-minute guided tours, and the gift shop are open 10 a.m.-4 p.m., Monday-Saturday beginning Memorial Day through the last Saturday in October. The Lititz Museum and gift shop are open 10 a.m.- 4 p.m. every Friday and Saturday in May, November and December. The entire facility closes for the season the weekend after Christmas. 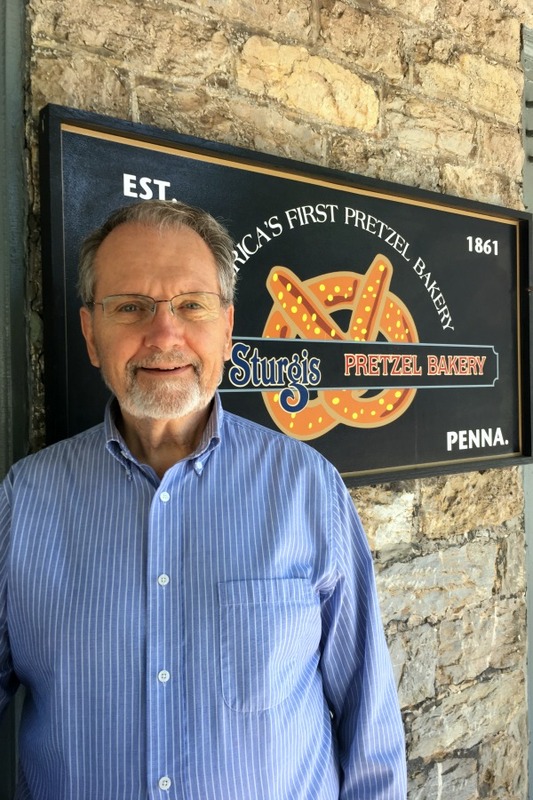 The Julius Sturgis Pretzel Bakery, established in 1861, is the first commercial pretzel bakery in America. Visitors can tour the original 19th century pretzel bakery, get a hands-on lesson in pretzel twisting, and learn the history of pretzel making in the United States. John and I really enjoyed nibbling on a fresh baked soft pretzel as we continued our Lititz stroll. If chocolate happens to be something you enjoy, a visit to Wilbur Chocolate will be a very happy place. Walk in the door and just try to constrain yourself. Chocolate heaven! Wilbur Chocolate has been making fine, high quality chocolate and confectionery products for the Confectionery, Bakery, and Dairy industries for over 125 years and their signature Wilbur Bud has been enjoyed by chocolate lovers since 1894! 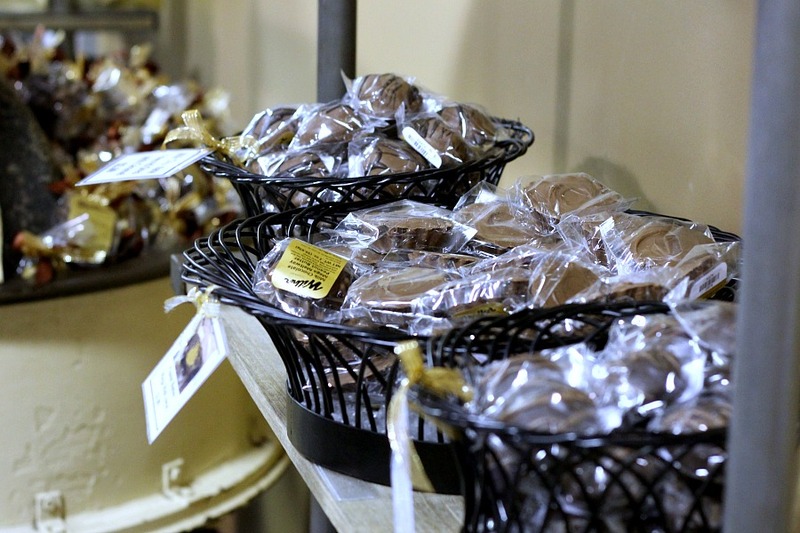 Visit Wilbur Chocolate at their Candy Americana Museum, filled with antique candy collectibles, and their delightful Candy Store. Get your free Wilbur Bud sample at the real of the store. If you have an interest in genealogy or history, you will enjoy a visit to Masthof Bookstore & Press. You will find a friendly and helpful staff, lots of interesting books for adults and children, and lovely gift-giving items. Don’t miss this hidden gem tucked behind the doors of a rather plain business sign. I so enjoyed the complimentary soap provided by our B&B, I followed the label to a delightful shop. 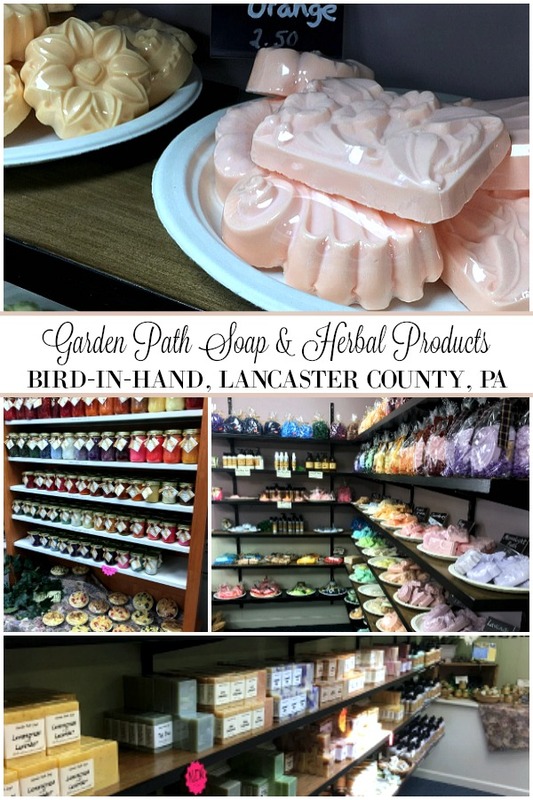 Garden Path Soap & Herbal Products located in Bird-in-Hand, Pennsylvania Dutch area of Lancaster County has a huge line of homemade, natural soaps and a full line of richly scented palm wax candles. If you like to use natural, organic products, you’ll want to stock up, as I did, on personal and gift-giving items. Look at this amazing selection. 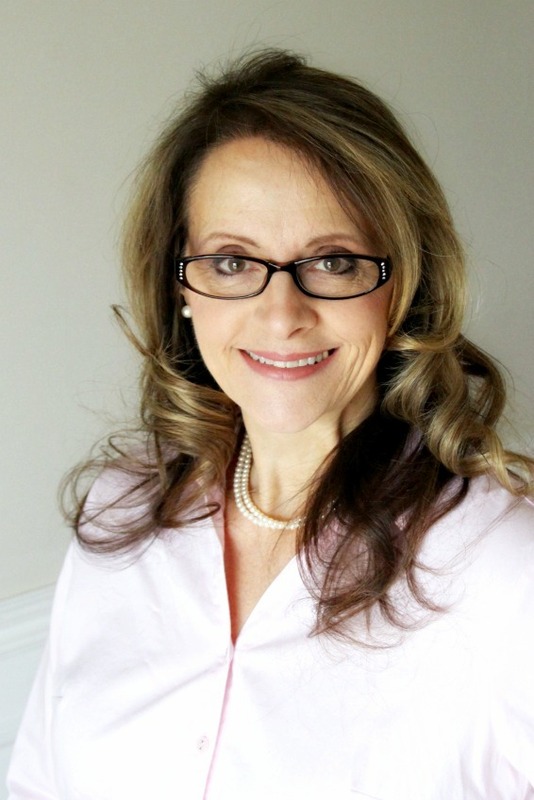 And, to help me make selections, all of my inquiries were kindly answered by Sylvia Fisher. 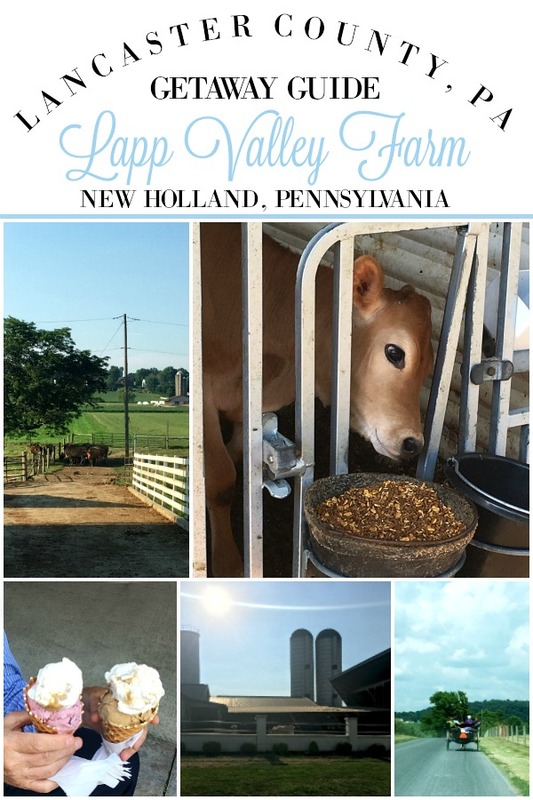 Lapp Valley Farm is a must visit when in the Pennsylvania Dutch area. 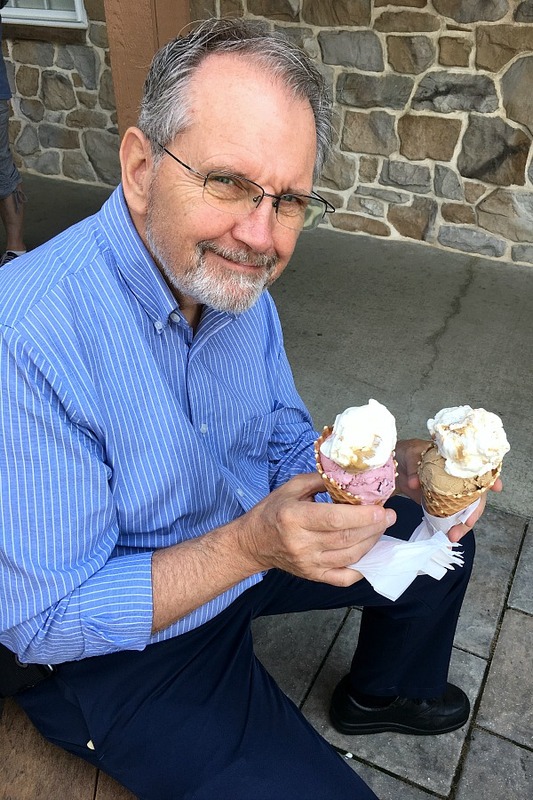 Meticulously kept Mennonite farm in New Holland, Lancaster County with scenic grounds and rich, homemade ice cream. View the Jersey cows, pet the calves and meander around this lovely farm. 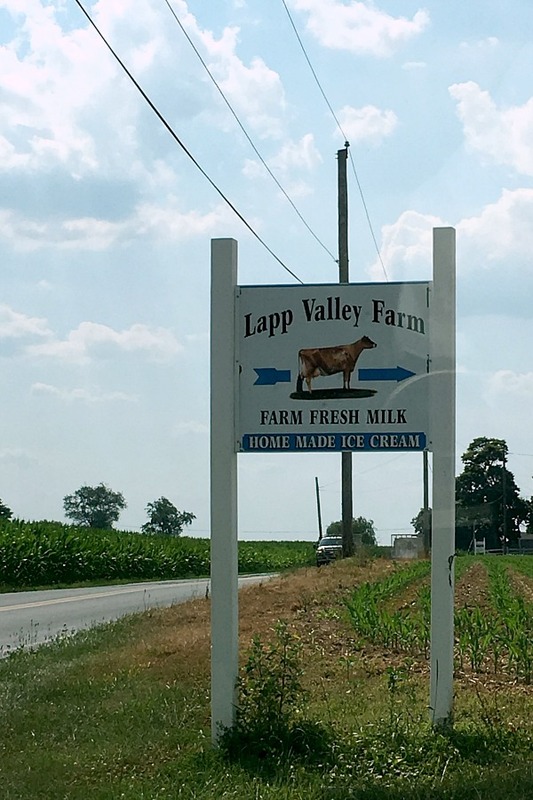 Look for this sign at the entrance when visiting Lapp Valley Farm. SUMMER HOURS: Monday – Friday Open until Dusk, Saturday until 6pm. Check website for current season hours. I love browsing through a secondhand store looking for a special treasure. So when we passed the Re-Uzit Shop we popped in. Clean and well organized shelves and racks of bargains in many departments throughout the store. It was a worthwhile visit. If this is your type of thing, check it out. 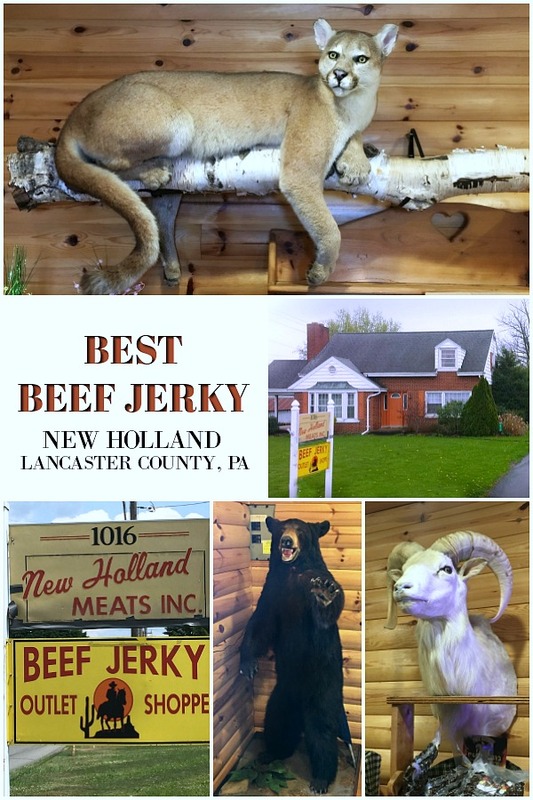 When a coworker learned of our getaway to Lancaster County, he told John he thought the best ever beef jerky could be found at New Holland Meats. We made sure to visit and pick up packages for him as well as our grandson. I’m not a connoisseur of beef jerky but they both loved it! The shop also had some very interesting decor. This fellow was looking friendly enough for a selfie. I wasn’t able to find hours on the site so give them a call at the above telephone number. 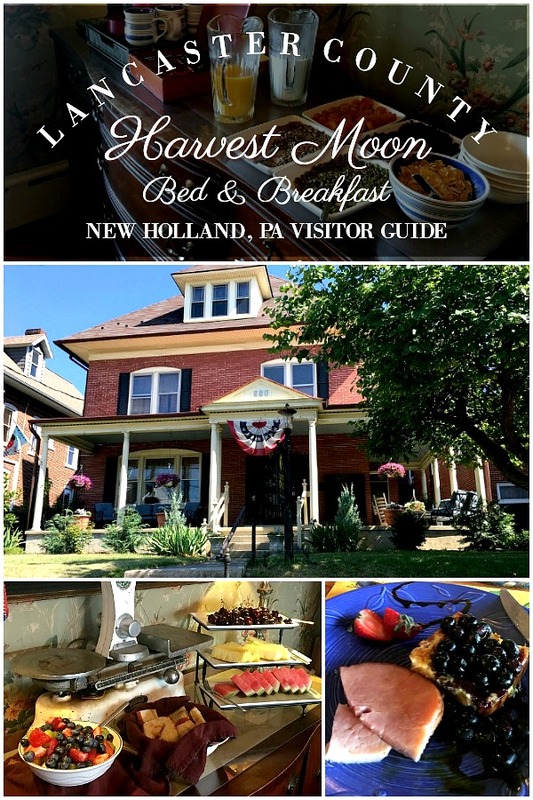 Harvest Moon Bed & Breakfast in New Holland, Lancaster County, close to the Amish and Mennonite farms is a cozy retreat with lovely breakfasts made by an engaging and personable inn keeper. It is a great alternative to hotel lodging. The two breakfasts we had during our stay were delicious! Along with help-yourself fresh fruit, a bread basket, dry cereal and toppings, coffee, tea and juice, Carl served a yummy cinnamon French toast topped with blueberries and ham on the side. The second day he served a delicious country cream sausage over a biscuit. We loved it all and did not leave hungry! Breakfast is served in the front room by a large window overlooking the street. It is bright and pleasant. 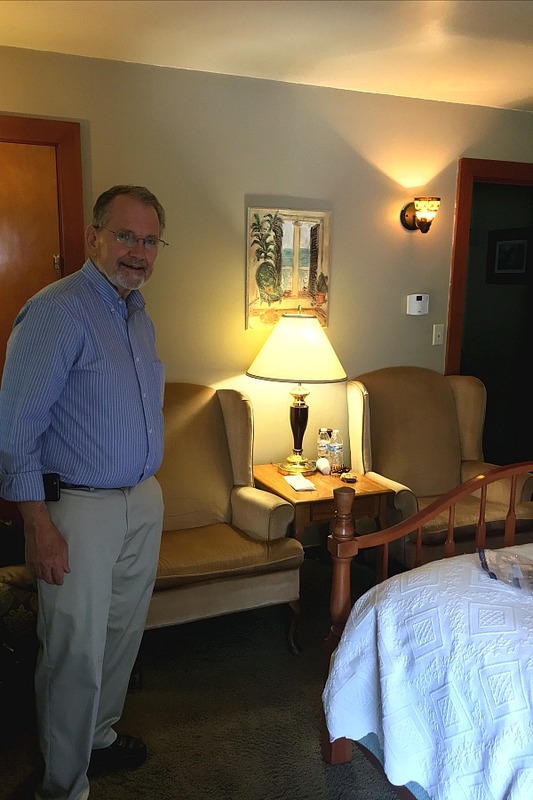 Carl, the Innkeeper is well informed about the area, engaging and very personable. Harvest Moon has four rooms to choose from. John and I stayed in the Macintosh, located at the rear of the house with its own private entrance. It provides a lovely queen-size bed with cozy bedding. There is a nice size bath with shower and a small sitting area with a desk and chair that connects the room with the bath. The room was a bit snug but with two wing back chairs and a table where we sat to enjoy our quaint wine, cheese and cracker snack. Clean, cozy and very comfortable, I think the room was a wee bit dated even for a grand Victorian home. That certainly didn’t deter from the pleasure of our stay and maybe next time we will check out the other rooms. I am so sad I didn’t get a photo of this sweet cafe because we enjoyed a great, casual meal at Squire Side Cafe. A highlight of our getaway was a meetup with dear friends that we met many years ago through blogging. Judy doesn’t blog any longer but we try and visit one another a couple times a year. 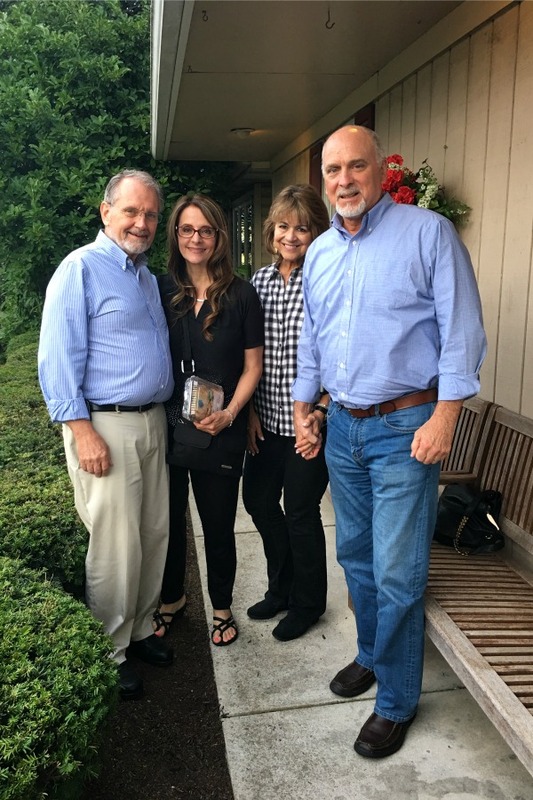 This couple is a sweet blessing to John and I and we cherish each get together we share. 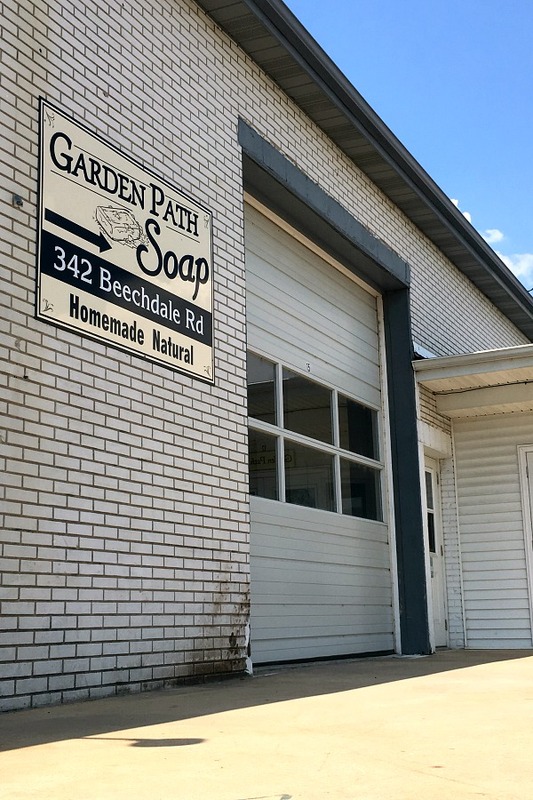 Saturday 6AM to 7PMGarden Path Soap & Herbal Products located in Bird-in-Hand, Pennsylvania Dutch area of Lancaster County has a huge line of homemade, natural soaps and a full line of richly scented palm wax candles. Don’t miss hidden gem to stock up on personal and gift-giving items. 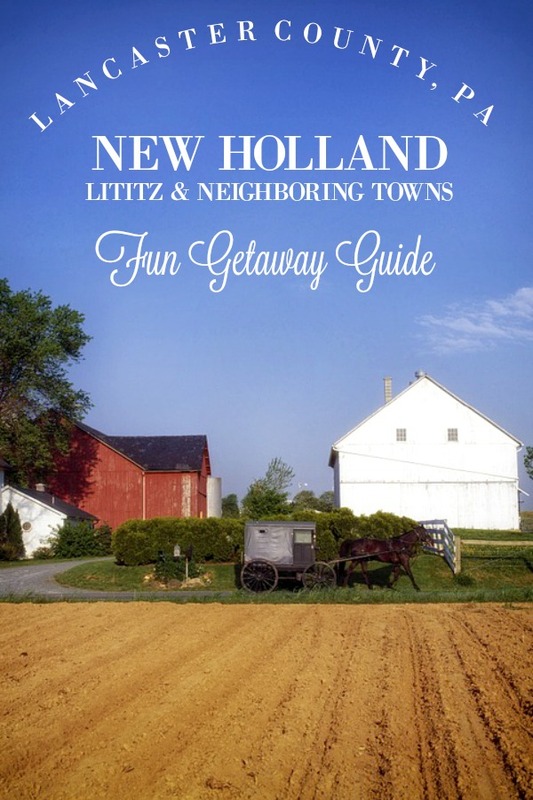 This fall, if you are considering a getaway with or without children, New Holland is a very nice place to visit. It is not too far from Philadelphia, Baltimore, Washington DC or New York City and the scenery is beautiful anytime of year. 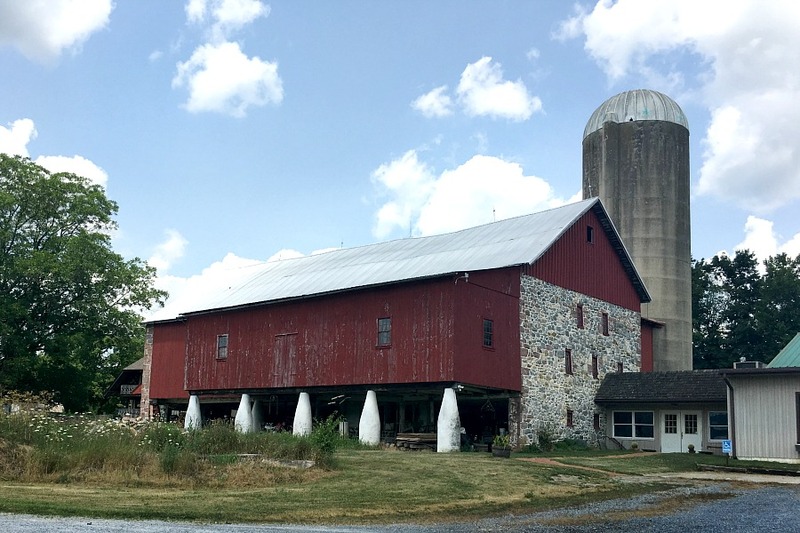 Use this guide to plan your trip to scenic Lancaster County, Pennsylvania. Oh, my friend – you brought back such sweet memories for me! Years ago I was on a business trip to that area and had a chance to stay over the weekend with a sweet family of a coworker in that area. They made sure I saw and experiences as much of Lancaster County as we could possibly squeeze in. Some day I hope to return and share the wonderful countryside and people of that part of our country with my sweetheart. As a resident of Lancaster County I think you did an amazing job of painting a lovely picture of this beautiful area! Many of the sites are familiar to me, but I learned of new spots I should visit. I enjoy your blog, but haven’t commented before. I couldn’t resist this time! God bless! I enjoyed reading about your getaway. I live on the west side of Lancaster. Many of the places you visited are familiar to me. 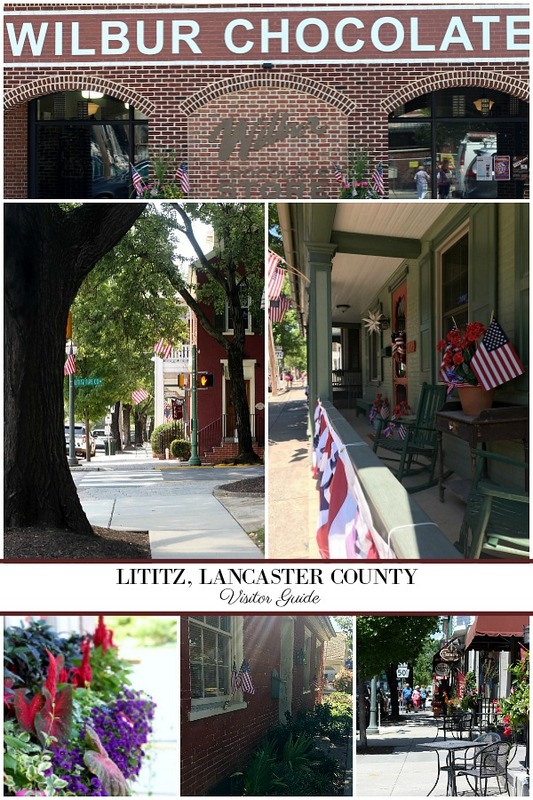 Lititz is the best little town…..Wilbur Chocolate, oh my….yummy!! Did you ever eat at Tomato Pie Cafe in Lititz? Thanks for inviting others to visit Lancaster County! Oh, yes, I did eat at Tomato Pie Cafe last year when I spent a weekend there with two of my daughters. So good! I am sad now that I have just a little left of the Wilbur chocolate buds we bought during our visit. It is so nice that you live in this lovely area. Thank you so much for stopping by and then leaving your comment!